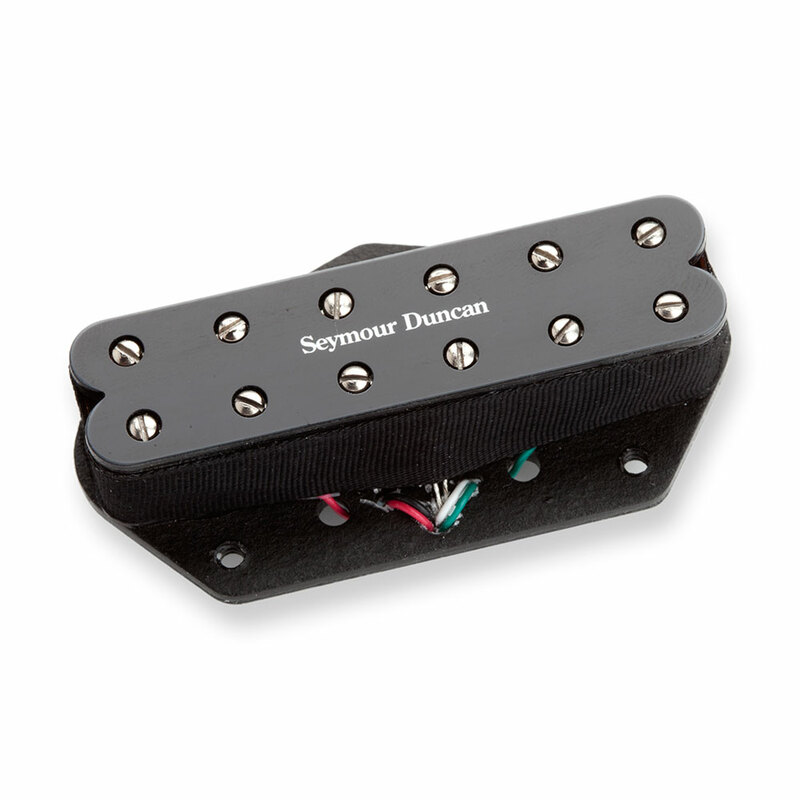 The Seymour Duncan ST59-1 Little 59 Tele Pickup is a humbucker built to fit in the bridge position of a telecaster. The Little 59 feels like a well balanced, full sized P.A.F, it has as a nice, even bass and treble response with a slightly scooped midrange that gives it that classic, full bodied humbucker sound, great for everything from country to rock. The 4 conductor lead wire gives you access to parallel and split wiring options for added versatility. This pickup is a drop in replacement for a Fender American Standard Telecaster bridge pickup route and pairs well with their Vintage Stack Tele neck.